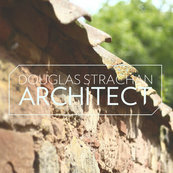 Douglas Strachan and his team have recently provided me with both detailed plans and exploratory concept sketches for different elements of the same project. Thank you for taking the time to leave us a review. It was a pleasure working with you. Thank you for taking the time to leave us a review. It is lovely to see positive feedback from our clients, and this validates our approach to ensuring clients feel supported. Many thanks for your review. It was a pleasure to help with your project. Thank you for your review. It is a pleasure to work with families to help improve their homes. Thank you for taking the time to leave us a review. I hope you felt the benefit if the improvements to the insulation of your home during the winter.